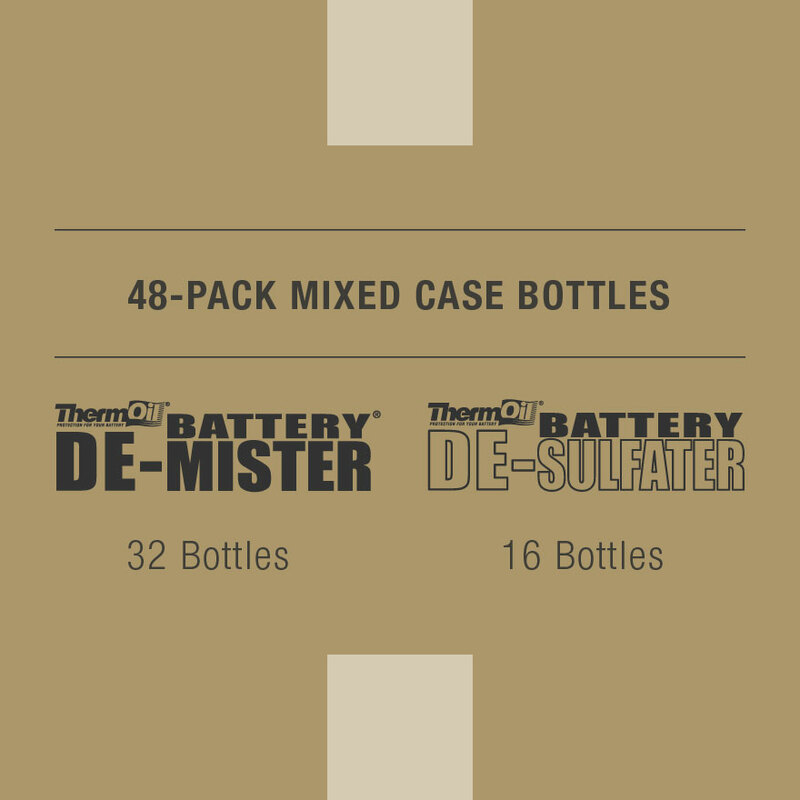 The 48-Pack Mixed Case contains thirty-two (32) bottles of ThermOil® Battery De-Mister® and sixteen (16) bottles of ThermOil Battery De-Sulfater. 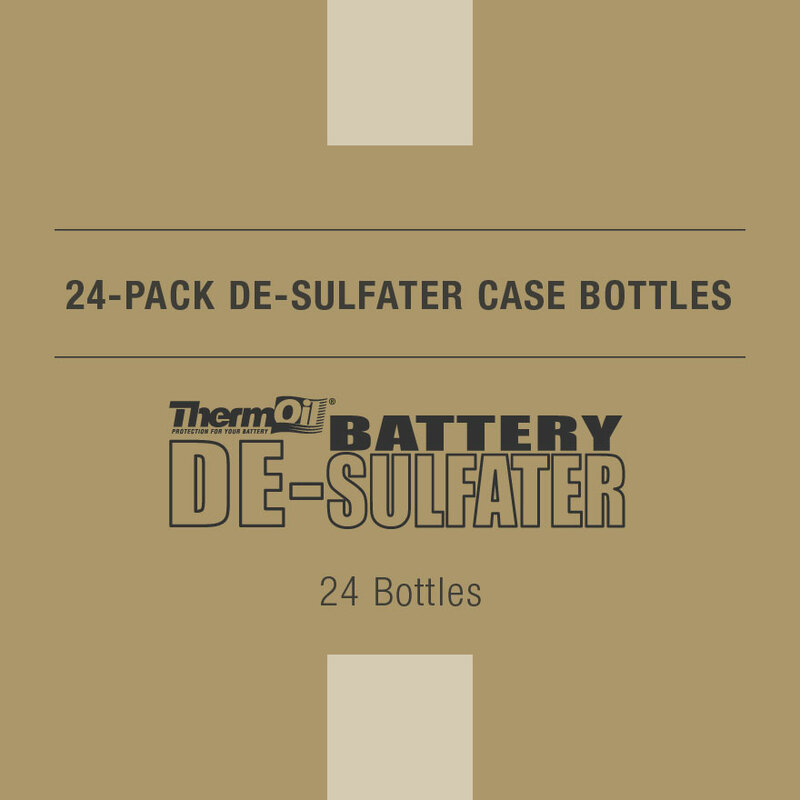 Use the form below to select from a selection of other pre-packed cases of ThermOil Battery De-Mister and Battery De-Sulfater. 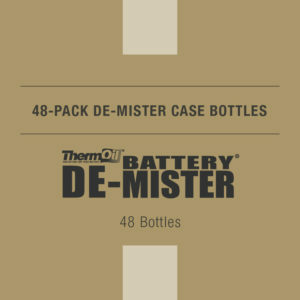 Battery De-Mister® with ThermOil® technology is a patented battery oil made of a combination of severely hydro-treated naphthenic base oils and hydrogenated polyalphaolefin synthetic oil coupled with an effective ash-less non-acidic rust inhibitor. Incorporated in the oil are an amine type anti-oxidant and an olefi n co-polymer type viscosity modifier. 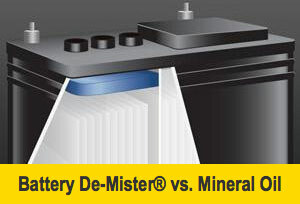 This unique base oil mix serves to eliminate polar sites, thus the oil has no inclination to attach itself to the plates of the battery thereby preventing the battery from premature failure during deep discharge cycles. 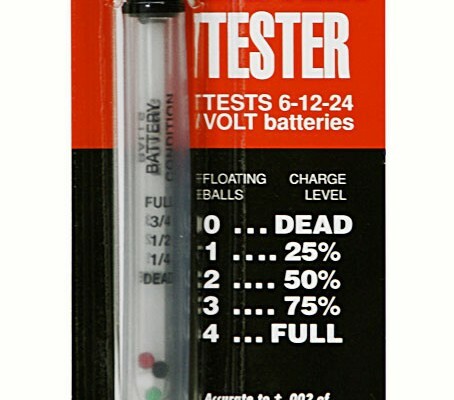 Battery De-Mister has an indefinite shelf life. Battery De-Sulfater is a non-acid chemical formula which breaks down deadly sulfation corrosion that has formed on plates and insulators and restores normal action in cells. 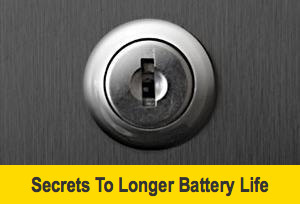 The chemicals in Battery De-Sulfater are safe for all new and used lead acid batteries. 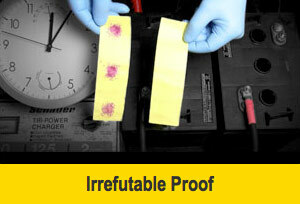 It has an indefinite shelf-life and is unconditionally guaranteed to restore, improve and prolong the life of mechanically sound lead-acid batteries regardless of make, age, or size. Anywhere in the Continental U.S. All orders of less than 14 bottles are shipped with these rates selected automatically at checkout.